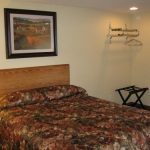 Rollaway Beds: $12.00 per day. One night’s deposit required for each room reserved. All rates subject to 12.25% State and Local Tax. All major credit cards and personal checks accepted for deposit – billed in advance. Cancellations: 72 hours in advance for all units and 14 days for units with a kitchen. A $10 handling / processing fee will be charged for all cancellations, plus an additional $15.00 for all units with a kitchens. 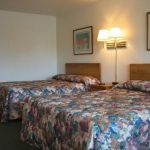 Two-night minimum may be required on some weekends based on season and availablity. 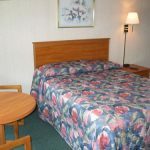 A 3 night minimum or more is required during peak summer / Saturdays on larger rooms and limited room types. Opening April 1st or sooner for our 2017 season. Check in time: Anytime after 4 P.M. or sooner if your room is ready. Check out time: 11 A.M.
Parties and profanity will not be tolerated, quite hours strictly enforced. An oversized whirlpool for two, located next to a Sealy Encore Plush King Bed. Custom tiled shower with shampoo nook and shower seat, granite vanity top. Room includes fridge, microwave, in-room coffee, hairdryer, bar sink and countertop. A 37” TV, mirrored walls and ceiling w/ mood lighting, table and 2 chairs and a 11 X 14 sundeck that overlooks our outdoor pool. Sundeck includes table, 2 chairs and 2 chaise lounges. Add a twin size sofa sleeper for $15 per day (please call). Sleeps 2-3 guests, a popular favorite for many years, all newly renovated, 385 sq. feet. An oversized whirlpool for two w/ separate tub and shower. Sealy Encore Plush King Bed, fridge, microwave, hairdryer, in-room coffee, bar sink and countertop, mirrored walls and ceiling w/ mood lighting, table and 2 chairs, 32” flat screen TV. Newly renovated, just a short walk to our pools, sleeps 1-2 guests, 295 sq. feet. An oversized whirlpool for two w/ separate tub and shower, large 48” granite top vanity. Sealy Encore Plush Queen Bed, 32” & 22” flat screen TV’s, hairdryer, in-room coffee. 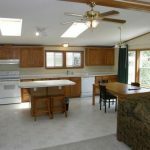 Kitchen includes 24” electric stove, fridge, microwave, sink, dishes, cookware, tableware, toaster, countertop w/ 2 saddle stools, plus love seat / twin sofa sleeper. Newly renovated, just a short walk to our pools, sleeps 1-2 guests, 355 sq. feet. A great room choice for families and parents who want a separate sleeping room for the kids. Front room has an oversized whirlpool for two w/ mirrored walls. Sealy Encore Plush Queen Bed w/ mirrored ceiling and mood lighting, flat screen TV. Back bedroom includes Two Sealy Encore Plush Queen beds, flat screen TV. 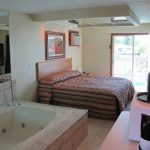 Also includes separate tub and shower, outside vanity, fridge, and microwave, in-room coffee, bar sink, hair dryer, table and 2 chairs. This is an individual unit w/ no common walls, just a short walk to our pools. 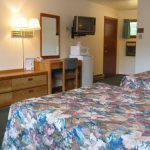 Newly renovated, sleeps 2- 6 guests, 475 sq. feet. Larger rooms and bathrooms, all are located in our main “U” shape section by our pools. Queen plush bed, fridge, microwave, 32” flat screen TV, hairdryer, and in-room coffee, counter top for extra storage, table and 2 chairs. One of our most popular room choices for our many repeat guests. Sleeps 1-2 guests with ample space to add a rollaway bed or your own pack and play. All our newly renovated with custom tiled entry way, 225 – 265 sq. feet. 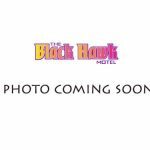 May be rented adjoining, please call to ensure adjoining rooms or request if booking two rooms online. A Plush Queen Bed, fridge, microwave, flat screen TV, hairdryer, in-room coffee, table & 2 chairs. A smaller room, yet still all the amenities of our larger poolside rooms. Most are located outside our main section, just a short walk to our pools. All now have tub & shower and are all newly renovated. A popular choice for guests on a budget, sleeps 1-2 guests. 168 – 225 sq. feet. 2 Prestige Plush Queen Beds, fridge, microwave, flat screen TV, hairdryer, in-room coffee, bar sink w/ counter top for extra storage, table and 2 chairs. All are newly renovated w/ custom tiled entry way and located in our main “U” shape section on the left of our exit drive, rooms 51-58. A bit smaller room than our standard 2 Queen, sleeps 2-4 guests, 265 sq. feet. A longtime favorite for our many repeat guests and first time guests as well! 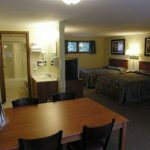 Includes 2 Plush Queen Beds, fridge, microwave, flat screen TV, hairdryer, in-room coffee, bar sink w/ counter top for extra storage, table and 2 chairs. All are newly renovated w/ custom tiled entry way. Most are located in our main “U” shaped section close to our pools. Rooms 62, 64, and 65 are located a short walk to our pools, but closer to our cottages. 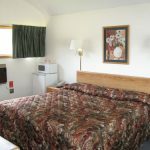 Sleeps 2 – 4 guests, 290 – 325 sq. feet. 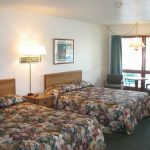 Our largest of our motel rooms with 2 Queen Beds and some of our most requested rooms for many years. 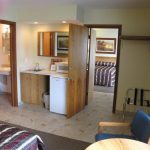 Room includes Two Sealy Encore Plush Queen Beds, 32” flat screen TV, fridge, microwave, bar sink w/ counter top, in-room coffee, vanity w/ granite top, hair dryer, table and 2 chairs. All are newly renovated and may be rented adjoining. Rooms 11, 15 and 16, sleeps 2-4 guests, 365 sq. feet. 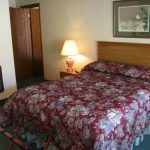 A budget room and ideal room for guests that want two beds and save $ at the same time. 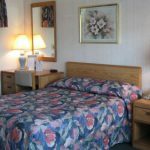 Located just a short walk to our pools in our two story Quonset Roof building and includes Plush Queen Bed and Plush Twin Bed, flat screen TV, fridge, microwave, in-room coffee, hairdryer, table and 2 chairs. Rooms 2, 3, 4 and 10, all are newly renovated. Sleeps 2 – 3 guests, 225 sq. feet. Treat yourself to a Serta Plush King Bed for added comfort and stay on budget. A bit smaller room, just a short walk to our pools. All are located upstairs in our two story Quonset Roof building. Includes fridge, microwave, in-room coffee, hairdryer, table and 2 chairs and a catwalk balcony. Rooms 5, 6, and 7, all are newly renovated. Sleeps 1 – 2 guests, 225 sq. feet. Great for larger families. Includes two Sealy Encore Plush Queen Beds and a Queen Sofa sleeper, full bathroom and additional outside granite vanity w/ hairdryer. 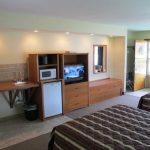 Includes fridge, microwave, in-room coffee, bar sink w/ countertop, kitchen cupboards for added storage, and “32 flat screen TV. A popular choice, all newly renovated and just a short walk to our pools. May be rented adjoining w/ our two Queen Kitchen (#71, please call). Sleeps 2 – 6 guests, 410 sq. feet. A great room choice for families that want privacy and a common area. 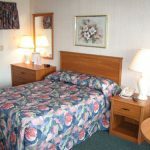 Includes 2 separate bedrooms with a Plush Queen Bed, flat screen TV and AC / Heat in each bedroom. Front room includes a Queen size sofa sleeper, chair & ottoman, table & 2 chairs, coffee table, flat screen TV and AC / Heat, as well as fridge, microwave, in-room coffee, hairdryer. Small complete bathroom w/ tub and shower, plus an additional outside vanity. This is an individual unit w/ no common walls, a very popular choice, just a short walk to our pools, all newly renovated. Sleeps 2 – 6 guests, 460 sq. feet. 2 Sealy Encore Plush Beds in the back bedroom w/ Flat Screen TV, AC and complete bath, table and 2 chairs. 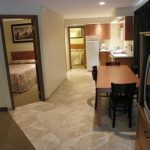 Front room has 2 Sealy Encore Plush Beds, 42” Flat Screen TV, fridge, microwave, in-room coffee, bar sink with long countertop for added storage, hairdryer, complete bath, table and chairs. 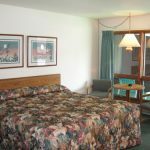 A very popular room choice, newly renovated, sleeps 4 – 8 guests, 600 sq. feet. Sealy Encore Plush Queen Bed in each room. These are smaller rooms (one is an end room) and just a short walk to our pools, but still all the same amenities. 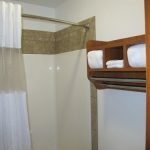 All of our adjoining rooms give you privacy and two complete bathrooms. These are rooms 59 and 60, newly renovated, sleeps 2-4 guests…please call to ensure adjoining rooms or book online and request adjoining. Spacious rooms and bathrooms with one Serta Plush Queen Bed in each room, plus all the other room amenities. All are located in our main section, close to our pools. A popular choice for families who desire two separate bathrooms and privacy. 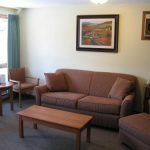 All are newly renovated, sleeps 2-4. Please call to ensure adjoining rooms or request if booking online. A popular choice for families that want privacy along with a king bed. Includes 2 Plush Queen Beds in one room and 1 Plush King Bed in the other room, with all the amenities in each room. 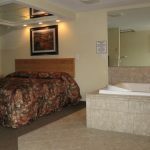 King room has a larger handicap bathroom with raised stool and vanity with grab bar in the tub and shower and around the stool. Sleeps 3 – 6 guests, newly renovated rooms 29 and 30, located in our main “U” shaped section, close to our pools, 580 sq. feet. Please phone to reserve and ensure these adjoining rooms. 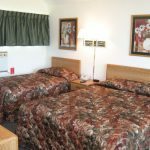 Two of our most requested rooms for many years! Three Sealy Encore Plush Queen beds total and all the same room amenities. 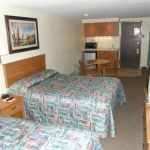 Rooms 48 and 49, both are newly renovated and located directly across from our outdoor pool. Sleeps 3-6 guests, please phone to reserve and ensure adjoining rooms or request if booking online. Each room has 2 Sealy Encore Plush Queen Beds and all the same amenities in each room. All are located in our main “U” shape section, close to our pools and all are newly renovated. Sleeps 4-8 guests, please phone to ensure adjoining rooms or book to 2 rooms online and request adjoining rooms. Our 2 Queen Deluxe (unit #70) with 2 Sealy Encore Plush Queen Beds and a Queen Sofa Sleeper w/ bath and additional vanity and all the other room amenities. This unit adjoins unit #71 with 2 Sealy Encore Plush Queen Beds and a full kitchen! 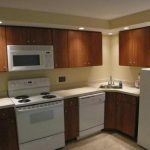 Kitchen is fully equipped w/ 30” electric stove, dishwasher, apartment size fridge w/ freezer, microwave and all your dishes, tableware, cookware, plus table and chairs and love seat. Both rooms are newly renovated, sleeps 4-10 guests and may be booked via phone only.